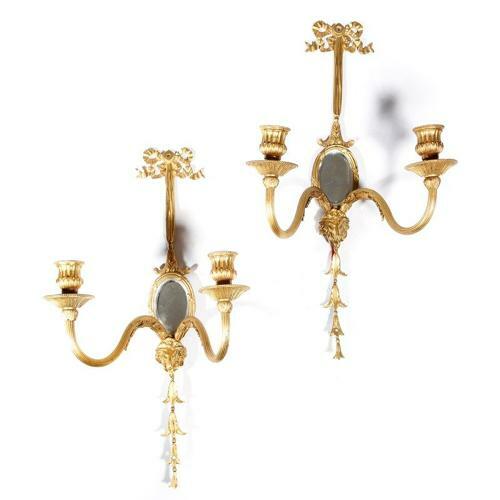 A pair of Ormolu, Louis XVI style wall lights, with two scrolling arms of light, with a bevelled oval mirror and rams mask, with a top ribbon bow and husk back plate. The back stamped 75WS, late 19th century. Provenance: from the Estate of the late Lady Dodds.